Use this time to discover how to have the rest of your year be your best year! Stress & Anxiety not only feel bad, feeling chronically anxious and stressed is harmful to your health! Your weight, your smoking, your work, your finances, your children, your relationships and life in general. You’re ready to have this year (and your life!) flow more easily, in spite of existing life challenges…. Get clear on what it is you really want! Discover the #1 thing stopping you from feeling more calm, more joy and the resiliency that you crave. Have a new understanding on how stress, anxiety and overwhelm are harming you and keeping you stuck in the same place. Complete the “Get Unstuck Now” Session with the excitement of knowing exactly what to do next! 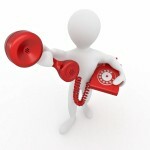 To receive this very valuable complimentary phone discovery session so you can begin making those changes you desire!